Branching storylines have become quite the thing in games lately, but most games don't take the idea much farther than "choose option A to get ending A, choose option B to get ending B." 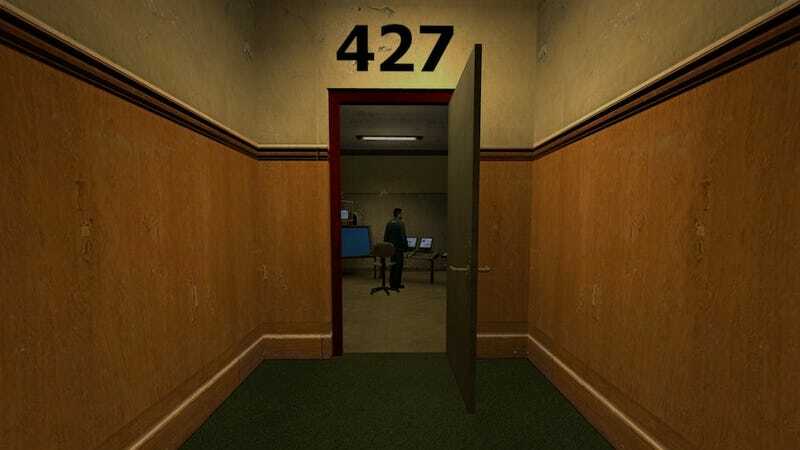 That's not the case with The Stanley Parable, a smart, twisty new Half-Life 2 mod by Davey Wreden. The first time I played it, I finished it in a few minutes and thought, "Well, that was neat." Then I played it again, just to see what would happen if I did things differently. And that was when I figured out what The Stanley Parable is actually all about. There's a lot more to say about this mod and the many fun ways it experiments with video game storytelling, but I'll save that for later. For now, you should really just download it (link is below) and see for yourself. Just remember: when you finish, you're not finished.